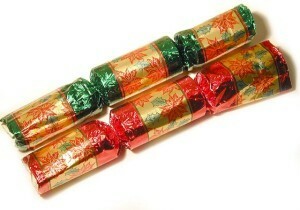 Like so many treats we associate with the festive season, Christmas crackers were invented right here in London...as a marketing gimmick. It was 1847, and Thomas J Smith of Goswell Road was struggling to sell his bon-bon sweets. The chewy sweetmeats were wrapped in twisted paper, a bit like you still get in a box of Roses or Quality Street. The flagging sales led him to try a number of promotional ideas. At first he drew inspiration from the fortune cookie, enclosing a short message inside every sweet wrapper. This failed to spark the imagination. But then, so the story goes, the crackle of his fire inspired him to include a small banger, which would add a certain novelty when the wrapper was pulled opened. This required larger packaging and, hence, the elementary cracker was born. Smith and his son Walter refined the design, ditching bon bons for small gifts, inserting paper hats and eventually reintroducing the short messages. The bright packaging and sheer novelty made them ideal accoutrements to Christmas cheer, but they were also used to mark other celebrations. Whether or not the Smiths were responsible for the execrable puns we must endure each year, or those tiny plastic frogs with the rectangular coccyx, is not recorded. The invention was a big success, and the Smith firm soon moved to larger premises on Finsbury Square, where they remained until the 1950s. 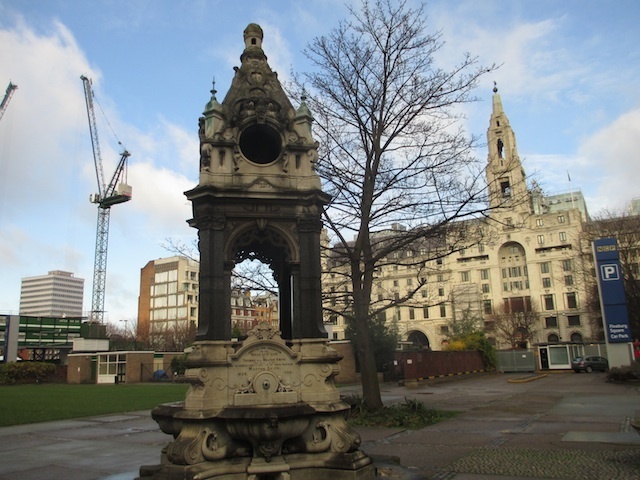 Today, you can find a memorial fountain to the family (sadly lacking in biography, and rather dirty) in the square's south-east corner (pictured). Although it's no longer a family business, Tom Smith Crackers are still trading, and provide a fuller history of their product here.